this is my last products. The helmet was maked from 1,5 mm. mild steel. I really like the roping around the exposed edges, the triple combs, and the way the liner has been installed. Uhhhhh.... WOW! Thats REALLY, REALLY nice! Another WOW. That looks like beautiful work. I am sorry, but I have not pictures during the construction proces. But the helmet maded from ten pieces. The triple combs welded on top and after time beat spike. The combs were finished I welded to the helmet. The peak and scruff I welded at the last time. Wow! That is one awesome helmet! Do like, do like! My God!!! That is nice!!! This is a nice piece to be sure, but far from the only example of Mac's work worth checking out. Cruise through his website! Lots more eye candy there! Very nice, Mac... very nice. Thank you very much Aaron! 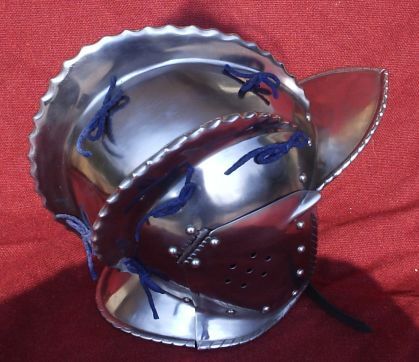 this helmet is for sale, because the customer has smaller head. 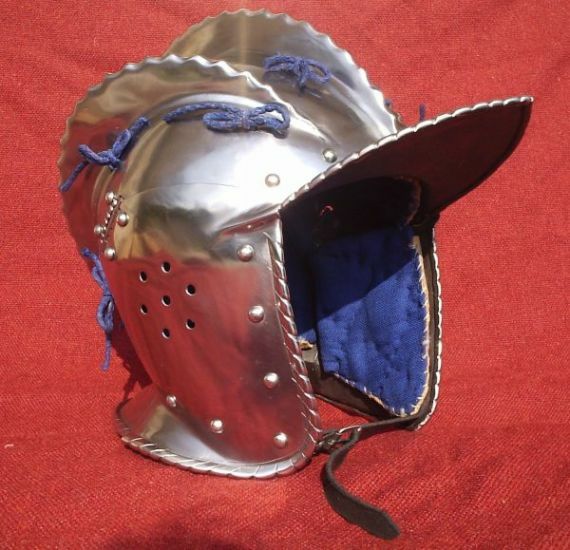 The helmet is made from mild steel 16 gauge, the lining is hand sewn. The price is 20 000Czk(800 USD)+ postage. I moved the "For Sale" post into this topic. The Marketplace Forum isn't for business sales. 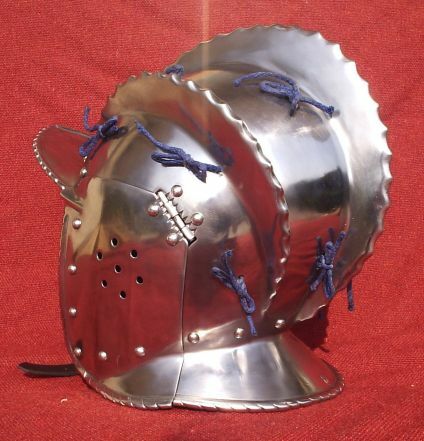 If I had the money right now, I'd buy this helm. It's my favorite of the type. I absolutely love it. I knew you'd love this one. I do only problem with my report for you, I am sorry!!!!! I hope, my english language will be better next time!!! I do it! I am glad, you like my products! I hope somebody buys this soon because I keep re-visiting these photos. Ditto. If I didn't have too many other irons in the fire right now, I'd be seriously considering easing Nathan's pain. I sure wish I could help you out with that, Nathan. What do you say, the price is 18 500Czk ( 740 USD) now? 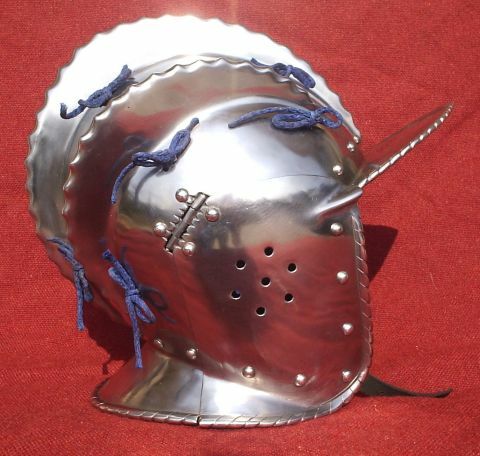 I will find the customer for this helmet? Oh, THAT is NEAT. Very nice! !